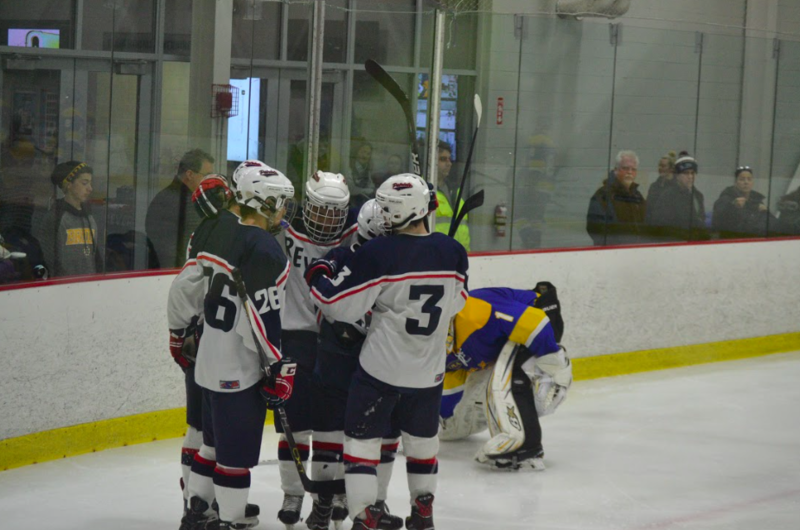 The Malden-Revere Hockey team huddled together mid-game. Photo from Blue and Gold Archives. 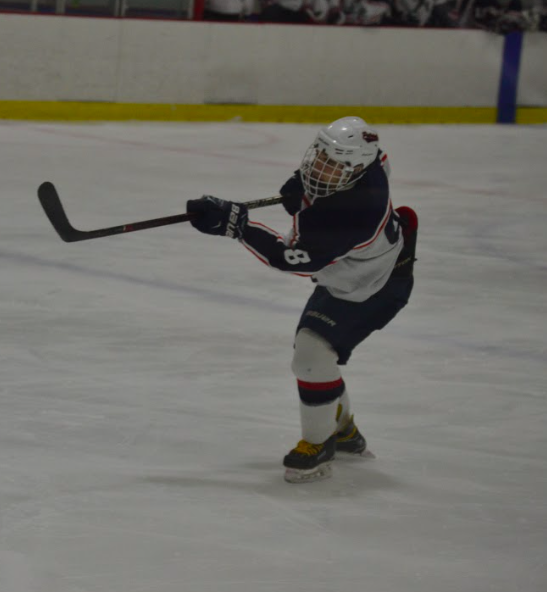 Last season, the Malden/Revere Boys ice hockey team ended the season with a record of 9-8-4, which ended up qualifying the team in the state tournament. Although the team was knocked out during the first round, they learned many things that they could improve on, as well as things that they executed really well. The team has a total of 22 players on the varsity team this season, with 11 of them being from Malden. Hockey player shooting a puck. Photo from Blue and Gold Archives. With hockey being such a physically demanding sport, there are bound to be a few injuries that could put players out, possibly even for the season. Though coach Ciccarello said that injuries did not impact the team last season, Swanson was injured earlier on in the season, commenting that “obviously having an injury is a bit of a setback, but [they] are hoping that [he] can bounce back even stronger and help out the team.” Swanson also mentioned how he has been participating in practices, and that he is going to have the cast off on the 21st, restoring him to full health again.